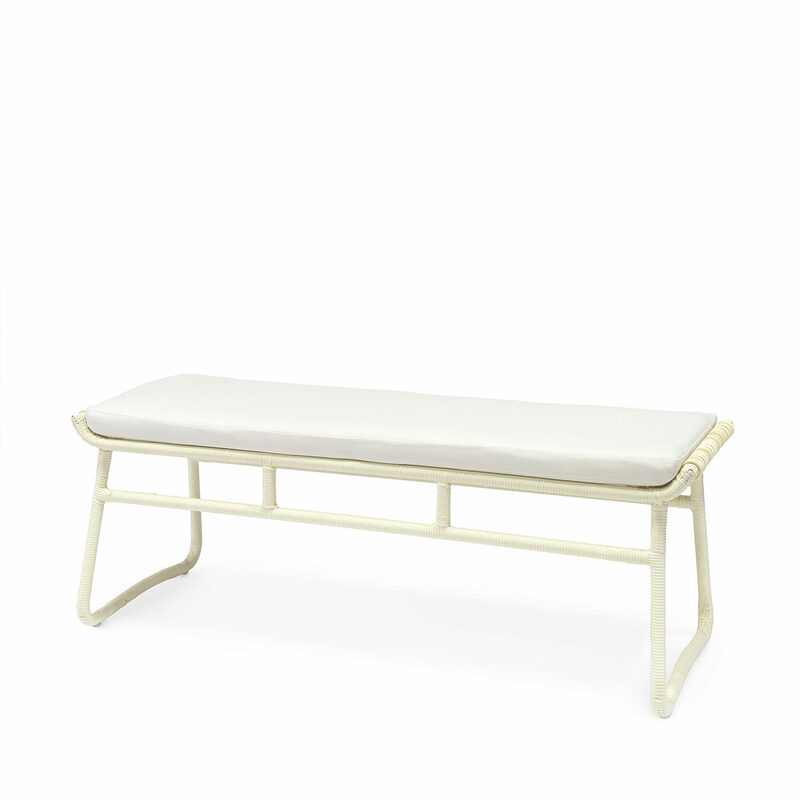 Powder coated aluminum frame with hand-woven all-weather synthetic wicker with maximum UV protection in cream. Stool comes with a loose seat cushion. Suitable for outdoor.